Shorelines are where most people first experience and interact with water; for many, they are magical places. More than 23,000 permanent residents live in 30 communities, including 11 First Nations, along the shores of Lake Winnipeg (Government of Manitoba, Water Stewardship Division). During the summer months, this number swells by tens of thousands of cottagers, primarily in locations along the lake’s southern basin. Shorelines are important fish and wildlife habitats, and can include marshes and other types of wetlands that help filter algae-causing phosphorus and other nutrients from the water that flows into our lakes. Uncoordinated, unchecked development along shorelines can disrupt sensitive wildlife habitats and destroy marshes and other wetlands which are integral to phosphorus reduction. At the same time, the experiences provided by Lake Winnipeg and other lakes within its watershed are part of our collective cultural identity as Manitobans; for many people, quality of life is linked to continued interaction with these waters. It’s important to find a balance between protection of ecologically valuable habits, and the sustainable development and management of our shorelines. Many shoreline marshes are already threatened areas. The Netley-Libau Marsh, for example, is located at the southern base of Lake Winnipeg at the mouth of the Red River; encompassing 26,000 hectares, it’s one of the largest coastal wetlands in Canada. From 1979 to 2001, open water on this marsh increased by more than 20% (University of Manitoba, 2004). This change in landscape is accompanied by losses in the volume and diversity of nutrient-filtering marsh vegetation. In 2011, LWF initiated a Shoreline Habitat Inventory and Mapping (SHIM) project. Modelled on cutting-edge work done in B.C., this process saw researchers create digital maps of existing land use and habitats along the south basin shoreline, and rank the sensitivity and suitability of different shoreline segments for development, rehabilitation and protection. We now have a database of valuable information that can be used to create a set of shoreline management guidelines that will serve as a science-based land-use planning and decision-making tool for government and other stakeholders. 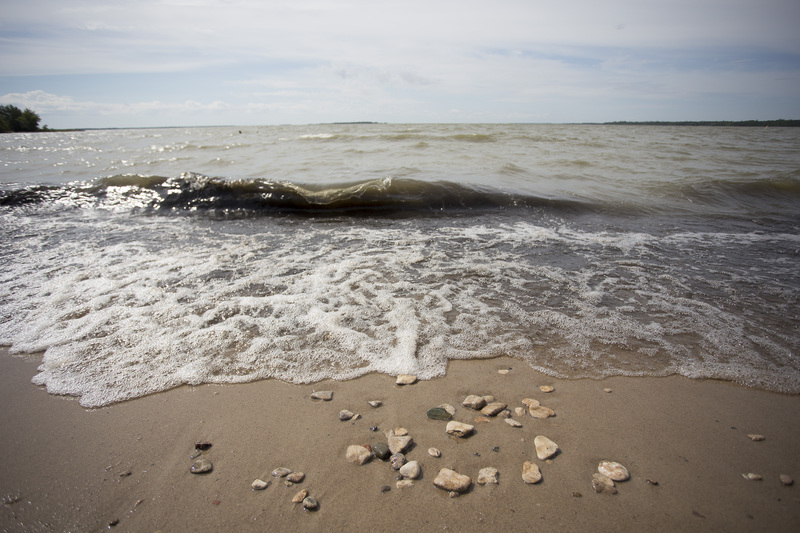 Action 5 of the Lake Winnipeg Health Plan, Managing our Shorelines, will see LWF work towards the collaborative development of these necessary shoreline management guidelines, offering data, pilot-project funding and other support. More immediately, we will examine the important ecological role of shoreline marshes with respect to phosphorus reduction and investigate the viability of marsh restoration as a means of regaining the ecological function of these areas. Using the Netley-Libau Marsh as a test site, LWF will identify best practices with respect to coastal marsh restoration and support the implementation of these practices. Read the Citizens Lake Winnipeg South Basin Report, part of the 2011-12 Lake Winnipeg South Basin Sensitive Habitat and Inventory Mapping Project, here.